EXPERIENCE Allegra leads Advisory Teams in Illinois who provide comprehensive wealth management solutions to high net worth individuals and families for building, preserving and transferring their wealth. Her previous management positions at Northern Trust include Managing Director of the Advisory Team in Winnetka, Illinois and of the Oak Street Financial Center in Chicago, Illinois, Division Manager in the Middle Market Client Group, and Division Manager of the Trade Finance Division. Prior to joining Northern Trust in 1991, Allegra was a Vice President at Bankers Trust in New York and held various positions in international banking, with a focus on Latin America. EDUCATION Allegra received a B.A. degree from Smith College in Northampton, Massachusetts and a Masters in Management degree from Northwestern University’s Kellogg Graduate School of Management. CREDENTIALS She is a Senior Vice President and CERTIFIED FINANCIAL PLANNER™. She was honored by the AntiDefamation League in 2008, receiving the Woman of Achievement Award. INTERESTS Allegra is married and has two sons. She enjoys exploring the world and skiing with her family. EXPERTISE Other leadership positions at Northern Trust include membership in Northern Trust’s Business Leadership Council and Wealth Management’s Operating Group. 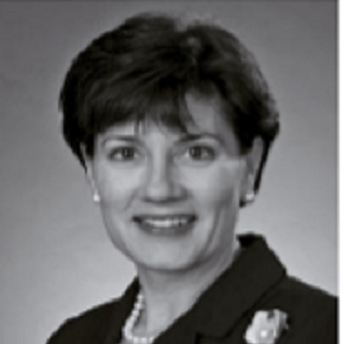 She is Chair Emeritus of Women in Leadership, Northern Trust’s business resource council focused on women. COMMUNITY INVOLVEMENT Allegra is a Board Member of the Chicago Humanities Festival, where she serves as Chair of the Development Committee. In addition, she is a member of the Lookingglass Theatre Board’s Executive Committee. She is a member of Northwestern University’s Women’s Board and of the Daughters of the American Revolution. Her former board memberships include: The Golden Apple Foundation, the Chicago Foundation for Women, and the Bankers Association for Finance and Trade.